The British Motor Museum of Gaydon, Warwickshire, has acquired two new ‘working’ classic vehicles to assist with the delivery of its extensive summer Shows programme. The first is a 1953 Austin K9, an ex-military truck that will be used as a Show Control hub for all the outdoor events. The second is a retired 1965 Morris Fire Tender which will be used as a First Aid point. Both vehicles will make their first appearance at the Classic Land Rover Show on 6 & 7 May. 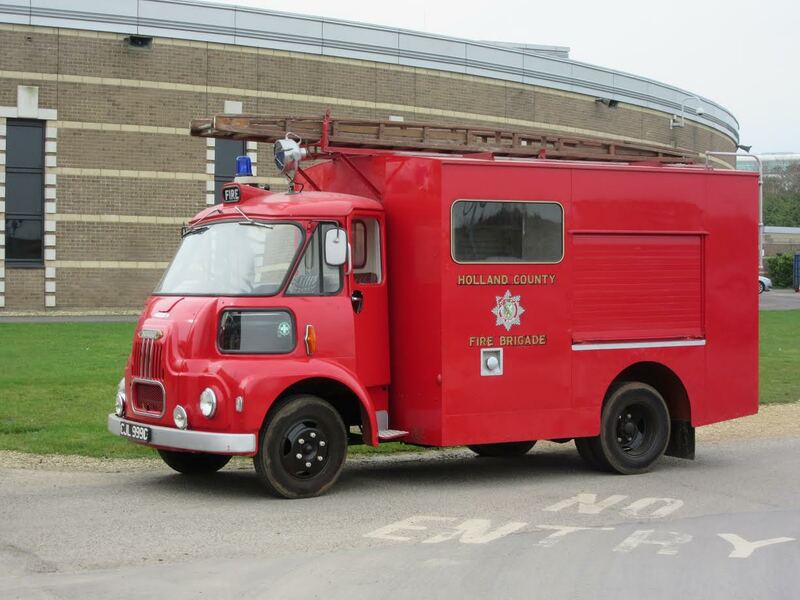 The 1965 Fire Tender is a Morris FGK / Carmichael and was classed as a Pump/Rescue Tender/Salvage Tender. It was mainly an equipment carrier and used occasionally as a fire control vehicle at larger incidents. The Museum’s tender served in Lincolnshire for its working life before surviving into preservation. A museum spokesman said “A paramedic is in attendance at all of our shows. The Fire Tender stands out as an emergency vehicle and is also mobile which means that we can drive it to anywhere on site to suit each show." The Classic Land Rover Show at the British Motor Museum returns slightly earlier this year. The show, which will be in its third year, will take place on Saturday 6 & Sunday 7 May. The 2017 show will take a look back into the history of Land Rovers development and feature some of the rival vehicles that were also in development at the time, with crews and vehicles from the Austin Champ and Austin Gipsy clubs attending. This provides an opportunity to explore their relationship with Land Rover and the friendly rivalry between the enthusiasts of each mark.